Kimi Raikkonen produced the first sub 1m19s lap from the new-for-2017 Formula 1 cars at the Circuit de Barcelona-Catalunya, as pre-season testing drew to a close today. Raikkonen’s best lap – a 1m18.634s – was 0.39s quicker than his teammate Sebastian Vettel set yesterday, which means Ferrari ends winter testing with the fastest laps. Like Vettel’s effort from yesterday, Raikkonen set Friday’s best time just before the lunch break, but, unlike his teammate who was on ultra-softs, the 2007 was using the super-soft Pirelli tyres. Raikkonen did try an ultra-soft lap in the closing moments of the morning session but did not improve his time. As has become the standard practice over the course of the two pre-season tests of 2017, the teams focused on longer running in the afternoon, which meant Raikkonen’s time was not toppled. But the Finnish driver did face difficulties during the afternoon as a mechanical issue caused him to spin and stop at Turn 13, brining out the red flags with just over 90 minutes of the day remaining. After the SF70H was brought back to the pits, he was able to re-join the action towards the end of the final session. 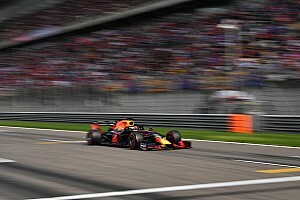 Max Verstappen ended the day with the second fast time for Red Bull, a 1m19.438s on the super-softs that was 0.804s slower than Raikkonen’s best time. But the Dutchman’s lap was Red Bull’s quickest of pre-season testing overall. Carlos Sainz was third for Toro Rosso, 1.203s slower adrift of Raikkonen, but 0.008 ahead of Mercedes Valtteri Bottas, who handed over to Lewis Hamilton for the afternoon session, and the triple world champion put in a best time of 1m19.850s on the ultra-soft tyres for fifth place. Renault’s Nico Hulkenberg beat his former Force India teammate Sergio Perez to the day’s sixth fastest time, with Jolyon Palmer eighth after taking over at the wheel of the RS17 in the afternoon. Lance Stroll was ninth for Williams, and he completed 132 laps in the FW40, which was the joint highest tour total of the day. Sainz also notched up 132 laps but did cause the final red flag of testing when he stopped on the pit-straight during the final hour. Romain Grosjean ended up 10th for Haas F1, ahead of Fernando Alonso and the Sauber pair of Marcus Ericsson and Pascal Wehrlein. McLaren suffered another difficult day with the MCL32. 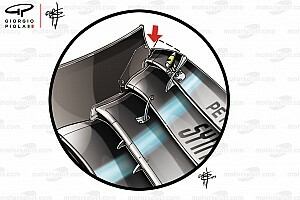 Alonso managed just 43 laps, with only Wehrlein completing fewer (42), as the Spaniard suffered with the same electrical problems that hindered his teammate Stoffel Vandoorne during yesterday’s running. We will run a full analysis of the 2017 test times – including intriguing long-run comparisons – over the weekend. Stay tuned. What do you make of the final day of 2017 F1 pre-season testing? Leave your thoughts in the comment section below or head over to the JA on F1 Facebook page for more discussion.